When planning the trip to NYC I narrowed my list to three LYS due to time & space limitations. The finalists: The Lion Brand Studio, Purl Soho and Knitty City. I left La Casita Yarn Shop Cafe and Brooklyn General Store for the next trip. Lion Brand was the yarn that I used when I started knitting. Their yarn was affordable and easy to find at the big craft stores. I then discovered LYS and quickly forgot about Lion Brand. Although I have not been using their yarns, I wanted to visit the LB Studio after learning about the Collection line of yarns. These yarns are sold exclusively at the LB Studio, online and at a Lion Brand Outlet in New Jersey. Even though the Collection is limited to one table of the NYC studio is worth checking it out. I really enjoyed my visit at the Studio. The employees are passionate about yarns, very welcoming and resourceful. I browsed patterns from raverly at the computers available to the customers and the staff printed them for me. A nice gesture considering that I was away from home and without printer access! 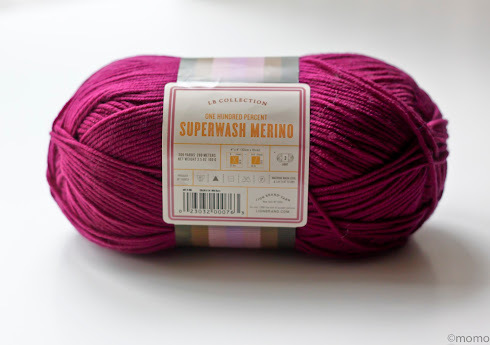 I bought two skeins of Super wash Merino in Wild Berry for $9 each. Not bad considering that each skein is 100g / 206 yards. 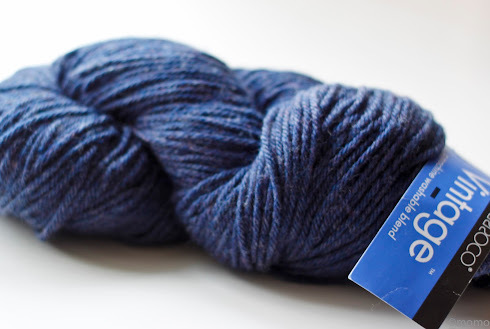 I regret not buying un-dyed pure wool for $5 (100g/180 yards)! I love almost everything on the Purl Bee blog– from the patterns to the styling and photography. I was very excited about visiting the store. Purl Soho doesn’t disappoint; it features floor to ceiling yarn, notions and fabric. A few caveats though: (1) the space to move around is limited. You will find yourself saying “excuse me” or “sure, go ahead” as many times as you can blink in a minute (2) the yarns are a pleasure to look at but somehow difficult to spot / grab. It took me a minute to search for a particular weight or brand. And when found, I had to move to let the next knitter find her treasure. Their prices maybe a bit higher than other LYS – although in my opinion, not excessively higher. After all, this is a famous store located in Manhattan. I grabbed some Manos del Uruguay Maxima, pet some Lorna’s Laces and walked out in less than thirty minutes. Yes, I was hungry and Urban Spoon identified a good Brazilian /Cuban restaurant close by. Knitty City, I already miss this place! Of the three stores visited, this is the one where I felt like in my LYS. The store has a good selection of yarns, notions, books and magazines. As with Purl Soho, Knitty City is a small size store and I’ve heard that it gets crowded during the weekends. The staff is extremely welcoming and knowledgeable. It seems that knitters look forward to spending time at the store either yarn browsing or just plain knitting in the back. They bring cookies, WIPs and funny stories to the mix. 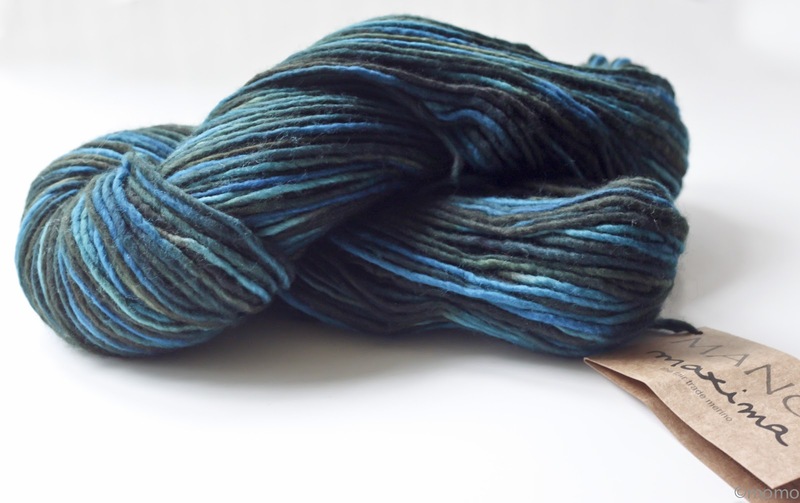 Some reviewers said that yarn at Knitty City is pricey. I agree that you could end up paying an additional $0.75 – 1.00 per skein on some well known brands. One good thing is that Knitty City usually have a 10% discount in the yarn of the month. It was Clsssic Elite in June. 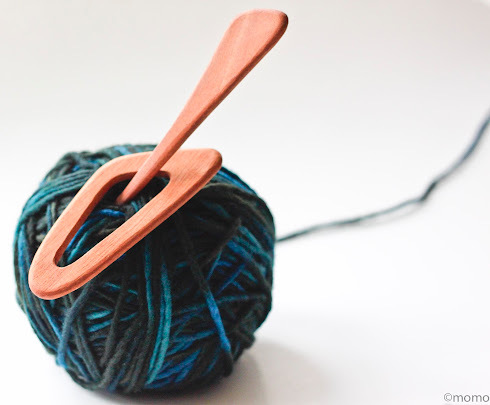 I bought several ChiaGoo circular needles, a crochet hook and enough Berroco Vintage to knit a cardigan. I most likely go back to the store in a future visit to the city. BTW, I love their reusable bags! Yay Knitty City! I would have loved to buy more at any of these LYS. But NYC was our last stop of the trip and we were running low on space. I promised my husband that I would just buy "what I needed". What I couldn’t resist was buying toys and clothes for our daughter; it was almost impossible to close our carry-on bags. Well sadly you can only buy so much yarn at any given time. But I would certainly say that you came away with some goodies! I've always heard good things about the Lion Brand Studio, apparently the actually have some semi-decent yarns that you cannot find most places.